In a Clark Hall lab one day in the fall of 2016, Luke Osborn, MS ’14, PhD ’18, attached two tiny beryllium copper probes to the left arm of his fellow graduate student György Lévay, MS ’17. Lévay had lost most of that arm—along with his right hand and both feet—six years earlier, when a severe systemic infection turned his extremities necrotic. 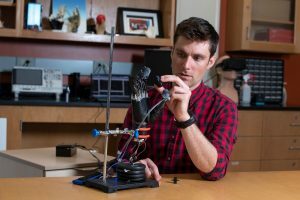 Now, he and Osborn were both students in the lab of Nitish Thakor, a professor of biomedical engineering and one of the world’s foremost innovators in prosthetic devices. 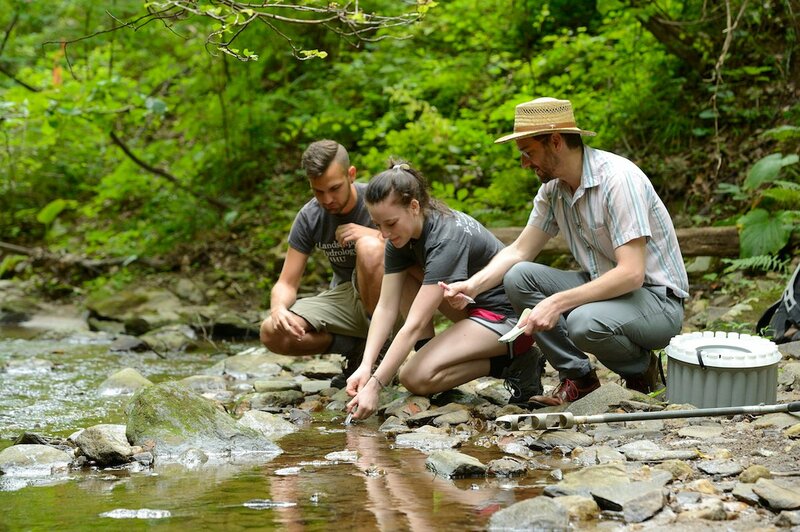 Osborn’s copper probes were part of an audacious project—one that he and a group of fellow graduate students had been working on for three years. 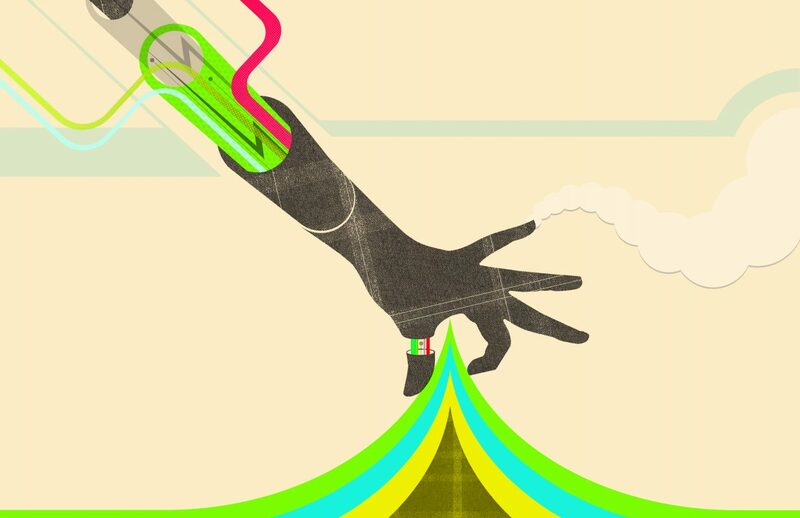 The goal: to give amputees the ability to feel sensations in the fingertips of their prosthetic hands. Under Thakor’s guidance, Osborn had meticulously developed fingertip sensors that mimic the architecture of the neurons in human skin. He had tested the sensors on robotic benchtop prosthetic hands for months, training them to respond to various stimuli. Now it was finally time for Osborn to test his sensors on a human subject. Lévay, who conducted his own separate work on the opposite side of the lab, was glad to volunteer. In the movie version of this scene, Lévay might be overcome with emotion as he feels sensations from his fingertips for the first time in six years. The reality was far more imperfect, laborious, and hit or miss, as Lévay—a prosthetics technology scientist himself—well knew that it would be. But after hundreds of trials and dozens of hours spread over a six-month period, Osborn’s team perfected its equipment and its methods. By the end of the study, Lévay could reliably tell, without visual cues, whether his prosthetic hand had picked up a smooth object or a sharp one. 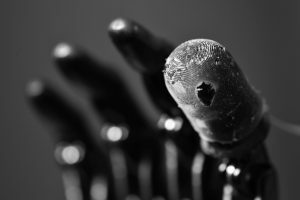 When his prosthetic hand picked up sharp objects, he felt sensations in his artificial fingertips that seemed like actual tactile pain, not just electrical jolts. The study—which was published in Science Robotics last June—marks a breakthrough in providing sensory inputs for prosthesis users. For Osborn, it was the culmination of five years of work. Osborn arrived in Thakor’s lab in the fall of 2012. 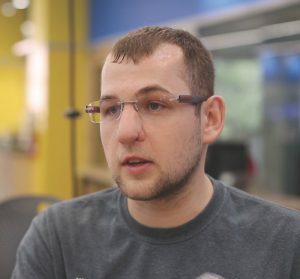 As an undergraduate at the University of Arkansas, Osborn had primarily been interested in pure robotics. But by the time he started graduate school, he wanted to do work that had medical applications. Thakor’s lab seemed like the perfect fit. For more than 25 years, Thakor has worked on developing better methods for controlling prosthetic limbs, both at Johns Hopkins and at a companion lab in Singapore. Osborn quickly turned his attention to the problem of sensation. There have been many improvements in control systems for prosthetic devices during the last decade, but few attempts have been made to allow amputees to feel touch signals from their prosthetic limbs. The two layers of the e-dermis mimic the two primary layers of human skin: the epidermis and the dermis. On the outer, “epidermal” layer, Osborn’s team designed certain sensors to behave like human nociceptors, which detect noxious, painful stimuli. 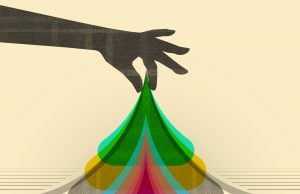 In the deeper, “dermal” layer, the sensors mirror four types of neurons known as mechanoreceptors, which variously detect light touch and sustained pressure. As he developed the fingertip sensors, Osborn initially performed benchtop experiments using a prosthetic hand that was not attached to a human user. In these purely robotic trials, he developed two reflex responses that mimic human spinal reflexes. 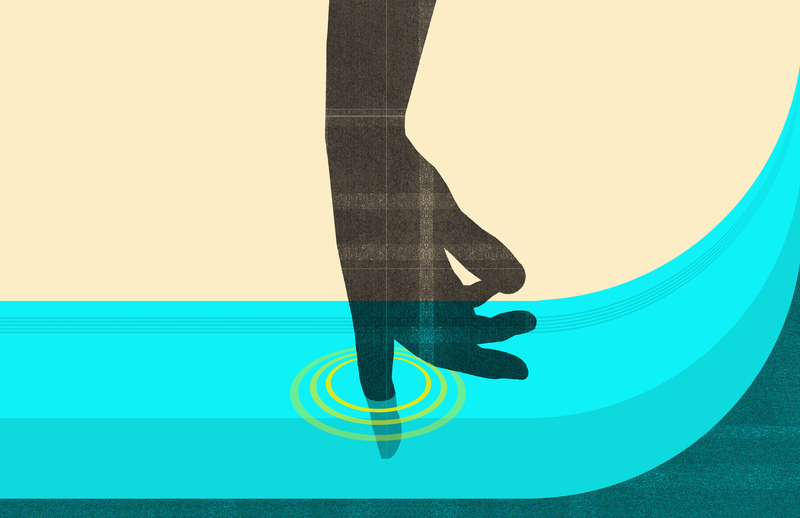 First, he trained the hand to tighten its grip if the fingertip sensors told it that an object was slipping. Second, he trained the hand to automatically drop a painful object. The challenge here was speed: Human spinal reflexes operate within 100 to 200 milliseconds—think of how fast you react to a hot stove—and Osborn’s team wanted to match that rate. 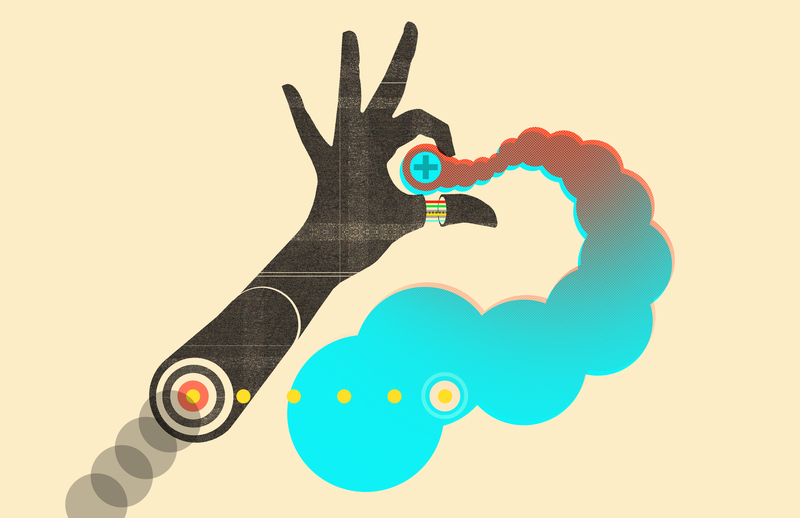 To accomplish that, the prosthetic hand had to correctly determine within just 70 milliseconds that it was grasping something painful. György Lévay, at Johns Hopkins on a Fulbright, was happy to serve as a test subject for Luke Osborn’s experiments. Osborn asked Lévay if he might be willing to be a test subject for his study of painful stimuli. Lévay said he was absolutely game—particularly since Osborn wasn’t planning to implant electrodes in Lévay’s skin, an approach that some labs have used with other prosthesis users. Lévay volunteered dozens of hours of his time—an hour here, an hour there—during the final semester of his own master’s degree program. The first step was an extended period of sensory mapping. Osborn needed to discover exactly the right locations to place the probes on Lévay’s residual limb. At most locations, Lévay simply felt electrical irritation or stinging on the residual limb itself and didn’t perceive any sensations from his prosthetic hand. But at a few sweet spots, which Osborn discovered through many hours of trial and error, Lévay’s residual nerves could perceive electrical stimulations from the phantom hand only in the phantom hand itself. For Osborn, five years of work have culminated in artificial fingertips that allow prosthesis users like Lévay to discern sharp from smooth objects and to feel pain. Osborn could adjust three primary variables: frequency, amplitude, and pulse width. 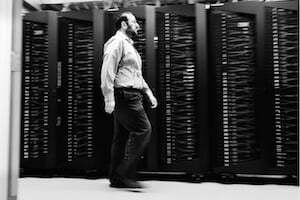 The goal was to create a “neuromorphic” signal that mirrors the complexity of our perception systems. 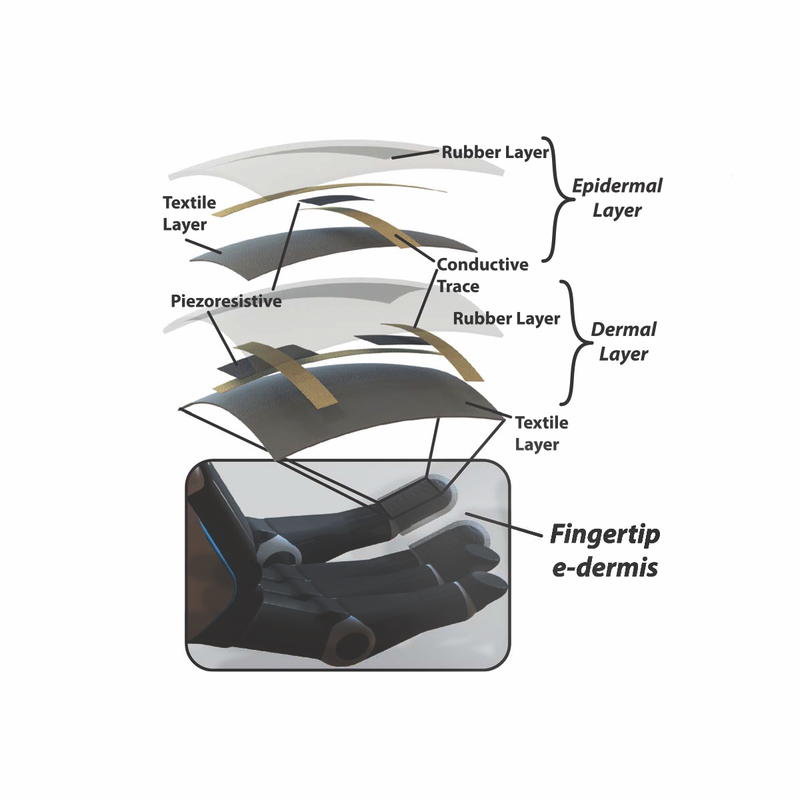 Osborn and team developed an “e-dermis” for the artificial fingertips, which mimic the two primary layers of human skin. Over the course of more than 150 trials, Osborn developed a complex algorithm that gave Lévay a reasonably accurate set of pain perceptions from the prosthetic device. The locations of the pain perceptions were never as pinpoint-specific as an intact person would have experienced—nor were they ever expected to be. But Lévay could correctly report whether the pain was occurring along the median nerve (the region of the thumb and index finger) or the ulnar nerve (the pinkie). Electroencephalogram studies confirmed that the signals were activating regions of Lévay’s brain that corresponded to the phantom hand. Throughout the project, Osborn checked in with Thakor at weekly research meetings. The team also included Andrei Dragomir, a senior research fellow at the National University of Singapore; Whiting School doctoral students Joseph Betthauser ’14 and Christopher Hunt ’14; and Harrison Nguyen ’18, who helped design and test the final iterations of the fingertip sensors. You might imagine that the dozens of hours they spent sitting together in the lab would have allowed Osborn and Lévay to talk shop and to exchange ideas about their mutual interest in improving prosthetic devices. But it wasn’t quite like that: To maintain the integrity of the experiment, it was crucial for Lévay to be blinded to many of the questions Osborn was trying to answer. When Lévay described what a stimulus felt like, Osborn wanted his description to be based purely on what he was feeling, not biased by any knowledge of how Osborn was programming the system. 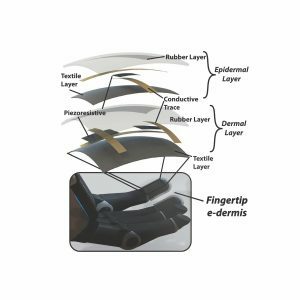 The multilayered e-dermis is made up of conductive and piezoresistive textiles encased in rubber. A dermal layer of two piezoresistive sensing elements is separated from the epidermal layer, which has one piezoresistive sensing element, with a 1-mm layer of silicone rubber. The e-dermis was fabricated to fit over the fingertips of a prosthetic hand. Since completing their work with Lévay, Osborn’s team has tested sensory perceptions with several other amputees in the Clark Hall lab. 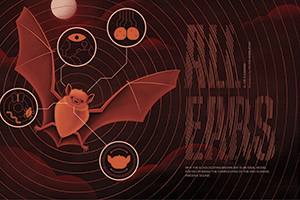 To varying degrees, they have all been able to perceive accurate sensory signals from their phantom limbs. One question going forward will be how much the nature of the initial injury affects prosthetic sensory systems. A person who loses a limb in a military conflict, for example, might have different kinds of nerve damage in the residual limb than a person who loses a limb from septicemia or from a motor vehicle accident. 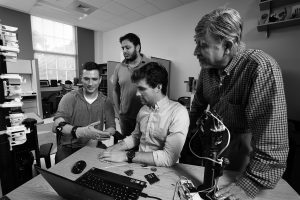 Students in Thakor’s Johns Hopkins lab are working on a wide variety of strategies for improving prosthetic devices. In partnership with Infinite Biomedical Technologies, they are developing high- density electrodes for sensing muscle signals and radio-frequency identification systems that allow prostheses to recognize tagged objects—like the user’s personal coffee cup—and to automatically prepare to grasp them. The lab was recently awarded a major grant from the National Science Foundation to develop sensors and algorithms for discrimination of texture and shape. Osborn, for his part, says he is grateful for the many hours volunteered by Lévay and the other participants in his studies. “None of what we do would be possible without the interest, dedication, and willingness of participants to come and work with us,” he says. Today, back in his native Hungary, Lévay works remotely as a research director for Infinite Biomedical Technologies. He is continuing to refine his pattern recognition systems for improving users’ control of prosthetic arms.